Let me say first off that I am not an adoptee, so I don’t come to Found with the emotional hair triggers and sensitivities that someone in that situation might. But this new memoir by journalist Jennifer Lauck (Seal Press, 24.95) grabbed me right from the beginning. Born in 1963 to a scared 17-year-old Nevada teenager, baby Jennifer was taken away at birth and placed with a couple called Bud and Janet Lauck. In a weird twist of fate, she only spent the first 10 years of her life with them, as the refined Janet was already a terminally ill woman when the adoption was approved; Bud died suddenly of a heart attack a couple of years later at 39. Lauck has written elsewhere of her gruelling experiences in her first 10 years (in the memoir Blackbird, which I haven’t read, but was a best-seller). In Found, she views her life with Bud and Janet at some ironic distance in a series of short vignettes, yet the writing is no less powerful for that. What’s powerful about this narrative is Lauck’s immense experience of loss at such a young age. Not simply an adoptee who has to try to fit in to an alien environment, she also has to cope with the shattering of her adopted world at a very young age. She glides over the disturbing aspects of being on her own for awhile, then farmed out to different relatives, molested, etc. 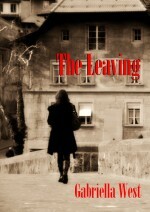 She tells of starting to write her first memoir after giving birth to her son, Spencer. “He deserved a mother who was fully awakened and not a hostage to her past,” Lauck says with her trademark punchiness and economy. At 20 Lauck finds herself near collapse when Bud and Janet’s son Bryan kills himself; she had not been close to Bryan, but his sudden death flattens her. Lauck describes her earnest practice of Tibetan Buddhism in her 30s to fill her feelings of emptiness after her divorce, but the book really takes off for me when she manages to locate her mother, Catherine, who is initially wary, then friendly, but never quite manages to meet Lauck’s intense neediness for maternal love. Lauck describes these scenes of intense daughter-mother yearning in such a poignant way. Without blaming Catherine, Lauck effectively conveys that her birth mother is a brittle woman who never fully grew up herself; they look similar, she feels an intense connection with her mother, but Catherine cannot fully be there for her in the way that Lauck wants. Lauck ends Found on a philosophical note–she has found that she is able to love other children, not just her own; the people who love her tell her she’s more grounded since meeting her birth mother; her own kids are a blessing. She has become something of an adoption expert, as well, speaking at conferences. In her End Note, she makes a plea for the conversation on adoption to become more thoughtful. “The high instances of mental health disturbance in adoptive children and grown adoptees are stunning, and yet, there is little to no recognition of why,” Lauck says. After reading this brave, wise, beautifully written book, I feel passionately that it should be read by as many adoptees and mothers considering adoption as possible. 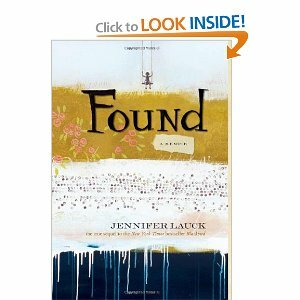 This entry was posted in Reviews and tagged adoption, Found, jennifer lauck, memoir, mothers, Seal Press. Bookmark the permalink.